When it comes to making a claim, many people question: ‘Is PPI refund taxable?’. We understand that it can be a little confusing to determine the status of tax on a PPI claim, so to make it clear – you will owe tax for the tax year you receive your compensation in. Interest on PPI claims is treated in exactly the same way as a savings account, meaning that taxpayers who receive additional interest are likely to owe tax. If you are still unsure about refundable tax on PPI claims, our guides contain all the information you need in order to make an informed decision when it comes to making a PPI claim. We can also help you to find out whether you are eligible and provide impartial advice regarding the use of a PPI claims company like us. At Moneyback PPI, our experts will work around the clock in order to ensure that you receive the PPI compensation you deserve. If you believe that you have been mis-sold PPI, you may be entitled to compensation. If you have purchased any form of credit in the last 20-30 years then there is a possibility that you may have been mis-sold PPI. You can turn to Moneyback PPI and rest assured that our expert team will help you receive the compensation you deserve. If you can’t find documents or proof of PPI then we may be able to track down whether or not you are owed PPI by simply using the name of the lender. 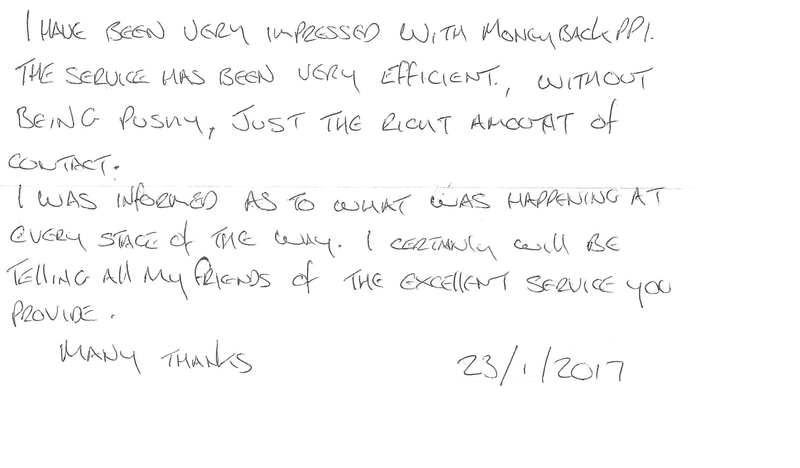 Here at Moneyback PPI, our experts can help you when it comes to reclaiming hundreds of thousands of pounds. This is particularly true if you believe that claiming PPI compensation will affect your relationship with your bank, card company or lender, which it will not. For additional peace of mind, it is worth noting that when claiming PPI compensation, you are protected by the Financial Conduct Authority (FCA). The FCA strive to ensure that customers are treated in a fair manner, regardless of their situation. Whether you would like us to reclaim on your behalf or would like to ensure you are aware of everything you need to know in order to claim back your PPI, our experts have got you covered. We can even provide you with information on how to identify your lender and who to turn to when it comes to making that all-important claim when it comes to the question ‘is PPI refund taxable?’. However, if you are looking to make a PPI claim, it is worth noting that the deadline to do so is 29th August 2019. After this date, you will not be able to claim back any PPI payments that you have made. For more information about how we can help you make your PPI claim or advice on whether you can benefit from refundable tax on PPI claims, get in touch with a member of our expert team on 0800 040 7778, today.